A blood type diet is a nutrition plan based around your blood type. 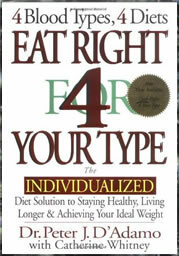 This kind of diet became popular with the release of Peter D’Adamo’s book Eat Right 4 Your Type. The book continues to be a bestseller and D’Adamo claims that the diet will not only bring about weight loss BUT can assist with allergy and infection resistance and will promote overall good health. Dr. D’Adamo started out as promoting the eating of the right foods as a way to improve health and wellbeing. However, in the last several years he has developed a whole line of nutritional supplements consisting of pills, shakes, bars, skin products, and even chocolates developed nutritionally for each of the four blood types. This diet has many followers and detractors. Some question the science behind the diet and find it overly complex to follow and understand. In a nutshell, this diet revolves around eating foods that D’Adamo believes work chemically with a dieter’s particular blood type. He believes that by eating foods your “body was designed to eat” it can heal itself and become healthy. For the majority of people, the prescribed diet is low-carbohydrate, high in proteins (such as meat and fish), and low in dairy products. Type O should also engage in lots of exercise. Choose: Lean beef, chicken, fish, turkey, vegetables, and fruit.Limit: dairy, grains, legumes, and beans. These people should eat eat plenty of fish and vegetables, with a low dairy intake. Light exercise only. Choose:fish, vegetables, beans, whole grains, most fruits. Limit: chicken, turkey, and dairy. Some specific foods to avoid: beef, pork, shellfish, aged cheeses, cashews, pistachios, kidney and lima beans, wheat bran, potatoes, olives, yams, cabbage, mushrooms, tomatoes, melons, bananas, oranges, mayo, beer, black tea. People with type B should eat plenty of certain meats, dairy, some fish, and plenty of fruit and vegetables. Choose:lamb, venison, rabbit, fish, most dairy, rice, oatmeal, green leafy vegetables, most fruits. This plan combines some aspects of both the A and B diets and has the most acceptable food choices for dieters. Choose:Lamb, mutton, turkey, fish, eggs, yogurt, non-fat milk, soft cheeses, most nuts and beans, most grains, most fruits and vegetables. Some specific foods to avoid: beef, pork, poultry, venison, shellfish, aged cheeses, sesame, kidney, black, and lima beans, sunflower seeds, buckwheat, corn, avocado, bell peppers, black olives, tropical fruits, oranges, pepper, black tea, distilled liquor. Is This Diet For Real? The author claims that much of the recommendations are based on scientific evidence – but perhaps it is too early to make this claim. Metabolism and/or sugar/insulin sensitivity are probably key factors in deciding diet – not blood type. 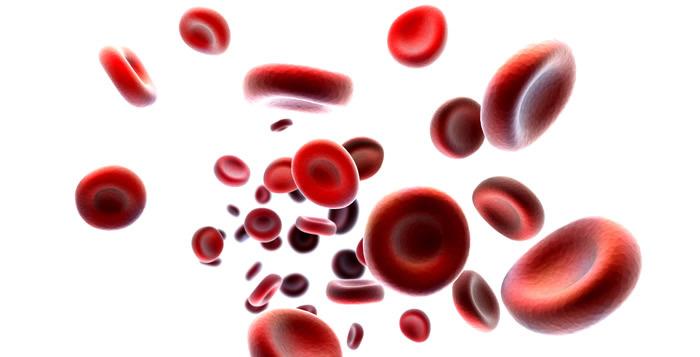 Two people can have very different metabolisms and have the same blood type. One could be sensitive to carbohydrates or sugar, whilst the other needs a high carbohydrate diet. Weight loss and other health improvements may occur on this diet – not so much because of blood type combinations, but because of a healthier diet! The author encourages people to cut down on processed and refined foods. Good advice for anyone regardless of blood type. The book also includes low-calorie diets that will probably bring about weight loss in anyone (once again, regardless of blood type). Eat Right For Your Type retails for $24.95. 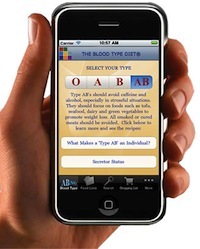 The Blood Type Diet also has an iPhone and Android application available that compliments the diet plan. Food lists, supplement advice, and other helpful aspects of the Blood Type Diet are made available at your fingertips. This application also helps dieters make wise choices at the grocery store and while eating out in order to keep in line with their eating guidelines. It’s available in several different languages and can be purchased for an additional $3.99. Lamb and asparagus stew, steamed broccoli, sweet potato. Eat Right 4 Your Type and the various blood type diets included encourage a predominantly meat and fish diet, while grains, potatoes, cereals, breads, pasta are not encouraged. Interestingly, certain vegetables and fruits are also banned. Any diet containing a long list of banned foods can be difficult to follow. Eat Right for Your Blood Type does promote exercise as way to increase health and vitality as well as for stress relief. Each blood type has exercises that are recommended as suitable for their bodies as well as recommendations for intensity and duration. Many have reported better health from eating according to their blood type. Dr. D’Adamo has years of experience as a naturopathic doctor. Weight loss can also occur. Promotes the use of whole foods. Dr. D’Adamo isn’t a medical doctor. Many healthy and nutritious foods are banned for certain types. Eating out can be difficult. Many people are healthy eating all foods despite their blood type. Many have reported dramatic results after they have begun eating according to their blood type. However, this could largely be attributed to the fact people are giving up refined and processed foods, which is recommended for all types. Originally Dr. D’Adamo’s Blood Type Diet started out as predominantly whole food nutrition based, but seems like since has evolved into a front to sell all kinds of nutritional supplements and miracle concoctions to users of the blood type diet plan. The supplements are expensive and most likely unnecessary. See also an outline of the Genotype diet – also by D’Adamo, or visit the author’s website. D'adamo, P. J., & Whitney, C. (2002). The Eat Right 4 Your Type The complete Blood Type Encyclopedia. Penguin. Started using this diet months ago and felt better within weeks and began losing weight after trying KETO and LCLF for years and never feeling better or losing weight. This diet is very simple and there are many, many food choices. I have friends who have been doing i it for over two years and have been able to come off all medications and lost a great deal of weight and they even look younger! I have heard mixed reviews of this approach. I know people that lost weight and are keeping it off while others had virtually no change or very modest results. Just like other diets, if it works for you great, if not its on to the next one. We have some foods listed above for type O. If you want the complete list you’ll have to download the app mentioned or buy the book.